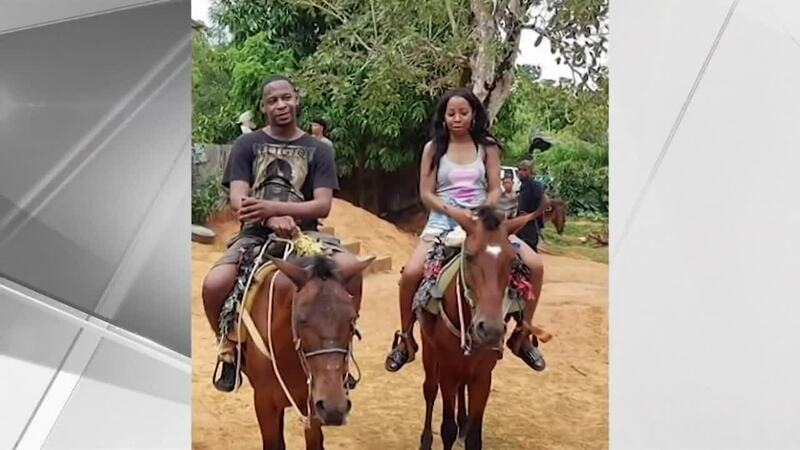 A couple from New York was supposed to return to the U.S. from the Dominican Republic on March 27 but have not been heard from since their trip. (CNN) -- Cheryl Freeman shared just a day of vacation bliss in the Dominican Republic with Orlando Moore and Portia Ravenelle. Moore and Ravenelle were supposed to return to New York from the Dominican Republic on March 27, Moore's half-sister said. But Moore's family has not heard from him since he left for the Dominican Republican on March 23 from Newark Liberty International Airport, Lashay Turner said. The couple left a car at the airport. Police on the island have not publicly confirmed the identities of the missing couple. Manuel Mateo, the captain of the Dominican Republic's National Police, said the agency is investigating the disappearance of a couple from New York. Investigators met Monday night to gather details to release to the public, National Police spokesman Col. Frank Felix Durán Mejia told CNN. It is not clear when the information will be released. In the brief time she knew her, Freeman said Ravenelle came off as "very cautious, adding that she would be surprised if Ravenelle would have let Moore stop even for directions.